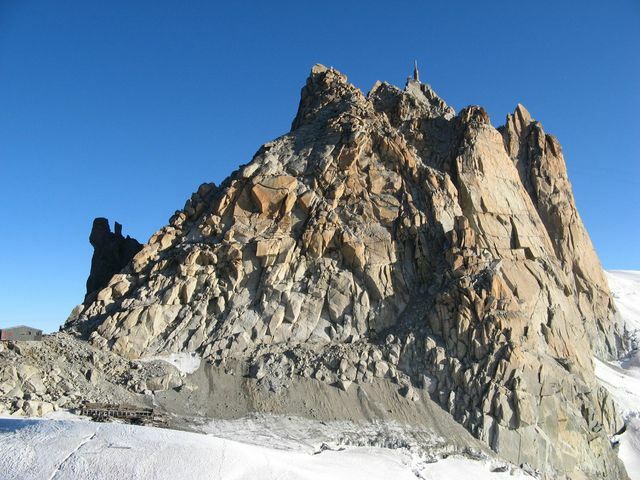 From this angle the Cosmiques Ridge (AD, 230m elev.) looks like a chosspile. It is actually far better than that, with a short crux at gr.14, climbed in leather boots and at 3700m altitude. The last few pitches are great and finish at the cable car.